Our rooms have a contemporary design, and yet they are still very comfortable and well-equipped. 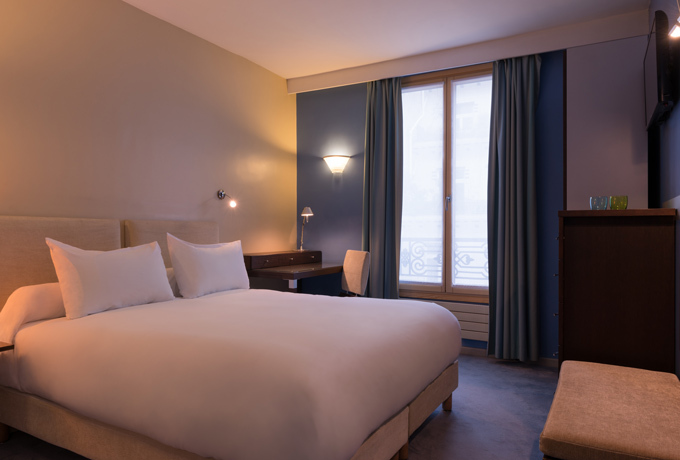 Air conditioned and soundproofed with double-glazing, they invite you to relax, to rest, and to take pleasure in the heart of Paris in a cosy and intimate atmosphere. They have wooden furniture that’s made in France, bathrooms with tiles or marble, and they meet current standards with flat screen televisions including cable or satellite TV + premium channels. All rooms are equipped with a desk and telephone – including a direct line and wireless Internet access. A cot is available on request. Comfortable, quiet, well-equipped and with quality bedding ... These rooms will welcome you and make your 2 nights in Paris relaxed and pleasant. Pleasant, well-equipped with more space ... 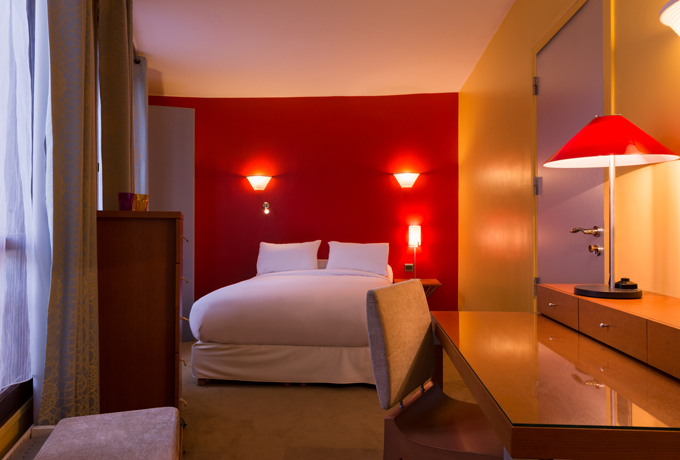 These rooms are beautifully proportioned for two and bring you a peaceful time together in Paris.